YAY! 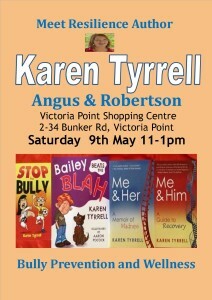 I will share bully prevention and resilience tips at Angus & Robertson book stores. As a bullied teacher, I reveal my recovery story from parent-teacher bullying and PTSD. 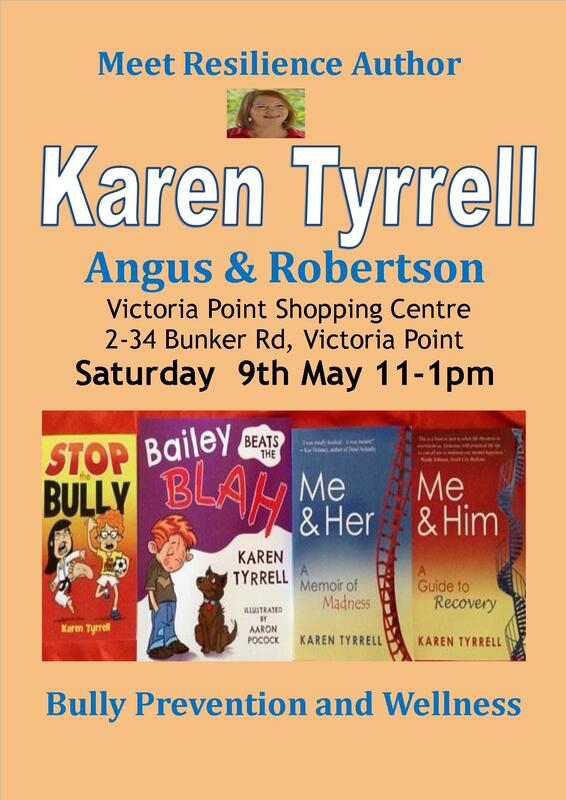 I will sign copies of my award winning mental health, bully prevention and resilience books for kids and grown-ups. I’m SO excited as this is my SECOND book signing series for Angus & Robertson. My award winning resilience books: Me and Her: A Memoir of Madness, Me and Him: A Guide to Recovery, STOP the Bully and Bailey Beats the Blah are now stocked at Angus & Robertson Victoria Point Shopping Centre and Ipswich Riverlink Shopping centre. 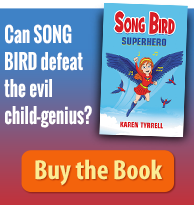 A Bullied teacher reaches breaking point and beyond, turning MAD. Police incarcerate her into the frightening psychiatric system. ME: teacher, mother, writer HER: manic, psychic, healer to the living, telepathic to the dead and she’s very psychotic . My husband and carer HIM: reveals the truth behind Me & Her. Plus I share my tips on recovering from stress, insomnia, anxiety, depression, PTSD and bipolar disorder. Bailey Beats the Blah (coping skills 4-8 years). Bailey hates his new school and has no friends. How does he beat the Blah? Coping skills for children’ anxiety and depression …Worry thoughts and sad days. 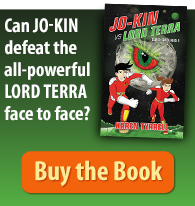 How does NEW Kid Brian Bennett STOP the Bully without revealing his secret? 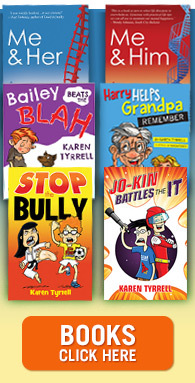 Bully prevention skills interwoven into a humorous, mystery story. Love to chat with you there. Please ask me a question or two. Are you coming along to join the FUN? You have worked without resting to get to this point in your life. Angus & Robertson are a highly respected bookshop, and your books deserve to be in there. Have fun at the book signings and I hope your many supporters and new readers enjoy chatting and meeting you!